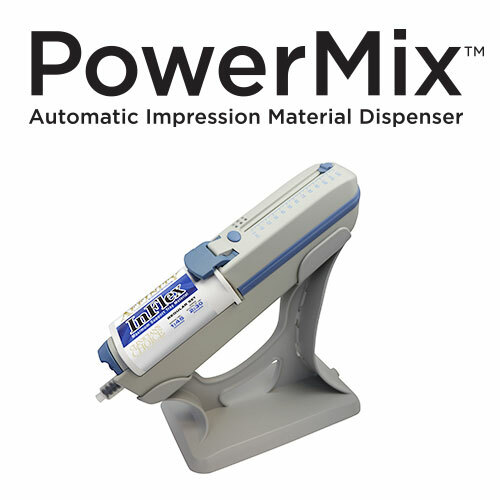 Cordless, effortless and portable, the PowerMix Automatic Impression Material Dispenser delivers perfectly mixed, void-free tray material with just a press of a button. With PowerMix, you can fill a full arch impression tray in just 10-15 seconds – no more hand pumping. The convenient PowerMix 120mL cartridge reduces plastic waste and residual impression material; while it’s lightweight design has a small footprint stand for both storage or direct dispensing.